Last night we had the long awaited and advertised birthday and goodbye celebration. Once a month, the Sri Ram Ashram has a celebration for all of the “happy birthdays” of that month. 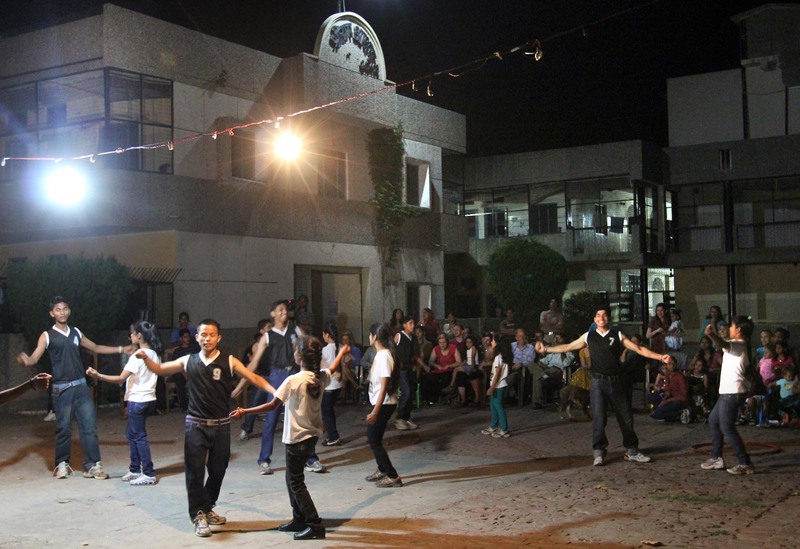 The kids prepared nine dances to perform. They had been practicing for weeks. 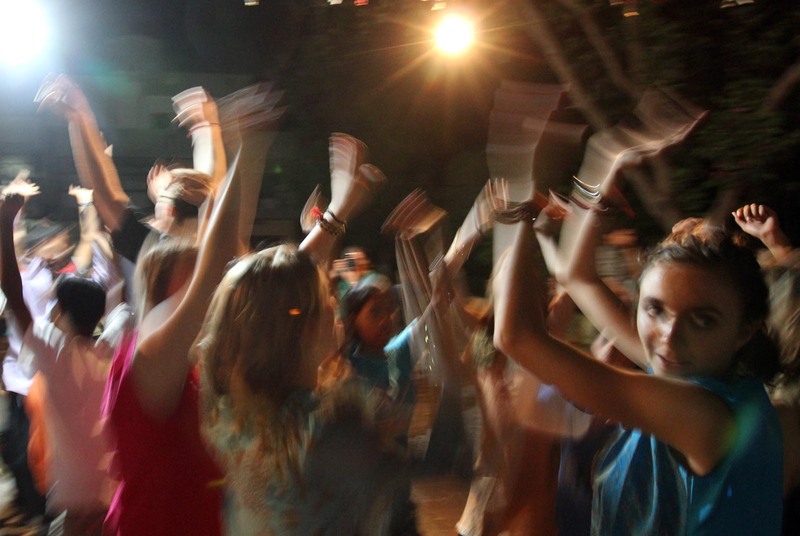 We prepared two songs from the Ramayana, One Day by Matisyahu, and a dance. The kids from the ashram were the most amazing dancers. Each move they made was precise, from their fingertips to their feet. I was shocked at how much talent there was in that particular group of kids. We were all a bit embarrassed to perform our dance because it was clear they were better prepared and more skilled. We learned that our skill level didn’t matter, only the amount of effort and passion that we put in. Either way, it felt good to dance for them. There was an amazing amount of spirit and love in the air. Everyone was happy with the bond we created. After we ate dinner we listened to Bollywood music on the patio and some of the Ashram kids started a dance party. They were self assured and not at all self conscious. It took a little while for us to start dancing but when we did there was an ultimate acceptance of our presence on the dance floor and an apparent amalgamation of two different and unusual families. I am not generally one that loves to dance and sing but I was appreciative of the kids confidence. It inspired me to take advantage of the opportunity to assimilate and celebrate the festivities. The kids at the ashram taught me, through dancing and singing, the importance of having a balance between humility and self-assurance.